According to the guidelines of the German Statutory Accident Insurance scheme (DGUV), every industrial truck must be checked for proper operation prior to use. 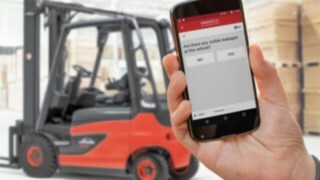 Available immediately, the “pre-op check” app from Linde Material Handling allows this mandatory inspection of the vehicle to be carried out very conveniently using mobile devices such as smartphones or tablet computers. Instead of using a paper form, the logistics staff can answer the questions regarding the vehicle status on the touch screen. Only if the test is successfully completed can the forklift or warehouse truck be put into operation. The driver can immediately document any damage or leaks by taking a photo. This new function of the connect: fleet management solution contributes to the improved availability and safety of vehicles, since it ensures that this pre-operation check is carried out carefully and damage can be identified in good time. 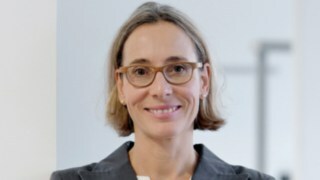 Wireless transmission of the data set as well as its documentation and further processing with the connect: software is also possible. With the “pre-op check” app from Linde, the obligatory inspection of an industrial truck before operation can be carried out using Android based mobile devices such as smartphones or tablet computers. Only when the driver has answered all the questions can the forklift or warehouse truck be started. Currently, every fourth new vehicle supplied by Linde is delivered with the connect: fleet management solution. After all, the modular connect: solution offers a range of benefits, no matter whether fleets are large or very small. It simplifies the management of vehicle and driver data, ensures greater operational safety and lower damage rates, identifies potential for optimization and enables needs-based maintenance. The connect: app using Android based mobile devices solves a challenge that those in charge of fleets are faced with day after day: namely, to ensure that the vehicle status is checked prior to use. Using the app, the vehicle is activated only if the employee has not detected any defects during the inspection of the truck and has answered all the relevant questions. Then the forklift truck can be started. The yes or no questions the drivers have to answer concern, for example, the tyre pressure and tyre tread, operating fluids, the battery status and evidence of external damage. To take account of the individual circumstances of the fleet and its operational use, the fleet manager can formulate these questions freely and change them at any moment. In addition, it is possible to set up a reporting function. When the driver has completed his check, the app will then automatically send a report to the fleet manager and – if requested – to a Linde service technician. Should the driver detect visible external damage to the forklift or warehouse truck, he can also be asked to take a photo of it using his smartphone or tablet camera so that it can then be sent along with the report. In case of serious damage, the truck can be restarted only when a repair has been confirmed and the vehicle has been released for use by the fleet manager. To eliminate any language barriers along the way, there is a choice of various user languages for both the queries and the reports. 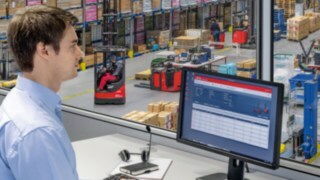 The modular fleet management system connect: from Linde offers numerous function groups for access control, data management, reporting, damage monitoring and detailed usage analysis. A new feature is the “pre-op check” app which allows vehicle checks prior to operation to be carried out using Android based mobile devices. Subsequently the data can be further processed. 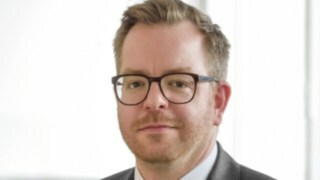 Linde’s connect: fleet management is a solution in which all features are included in the purchase price. Due to its modular structure, the individual function packages and modules can be purchased all together or one after the other. Retrofits are possible at any time. The connect: product family includes four major function groups that are subdivided into modules. It is based on connect: access control which includes access control via RFID chip or PIN, the management and organization of driver and vehicle data as well as the reporting function. The connect: data function group encompasses the documentation of operating hours, detection of shocks and error code transmission. Businesses wishing to obtain a detailed usage analysis for their fleet can use the connect: analysis function group. Individual, automated reporting enables the operator to evaluate and optimize the operating, non-operating and maintenance times for each individual vehicle.